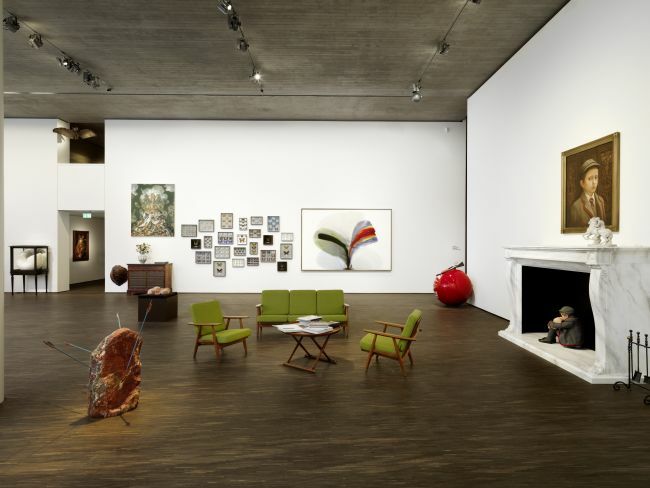 In addition to being one of the most notable private art collections in Europe, Thomas Olbricht's (1948) collection of contemporary art is the only collection in the world that contains examples from all of the editions of works done by one of Germany's foremost artists of the 20th and 21st centuries, Gerhard Richter (over 150 pieces in total, created between 1965 and 2013). Olbricht, a medical doctor and former significant shareholder of the cosmetics giant, Wella, moved his collection from Essen to Berlin at the beginning of 2010. In the eastern Berlin neighborhood of Mitte, which has become an alternative cultural center since the fall of the Wall, Olbricht established his 1300 sq. meter, two-story private art space. Calling the space me Collectors Room, Olbricht set up the lower floor as a platform for temporary exhibitions featuring pieces from his and other private contemporary art collections, while leaving the second floor to house the permanent exhibition. 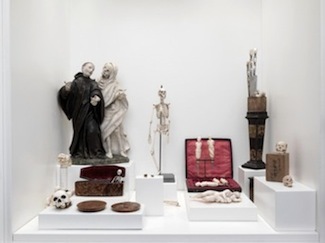 Titled Wunderkammer (Cabinets of Curiosities), the permanent exhibition represents several periods of art history – from the renaissance and baroque, to art deco and the era of classical modernism. 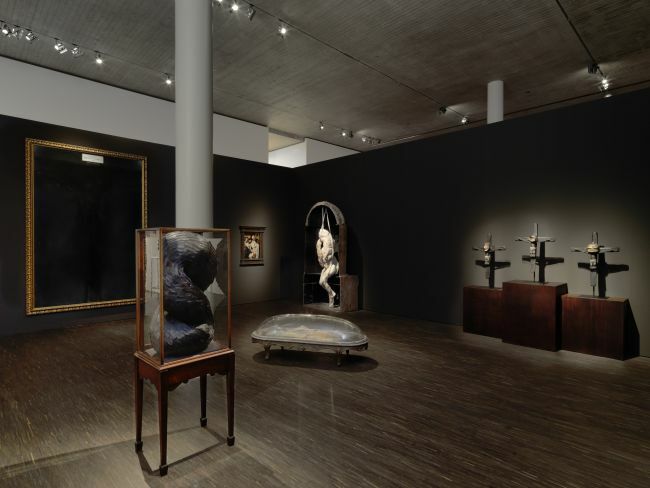 It appears as if the works by renaissance master Martin Schongauer are just as comfortable next to reinterpretations of historical art discourse created by modern-day artist Wolfe von Lenkiewicz, as is the grouping of Albrecht Dürer's death theme together with pieces from French fashion legend Yves St. Laurent's private collection. 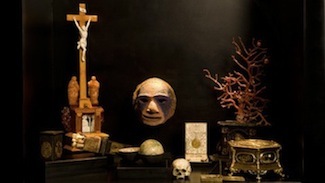 In much the same way, an ancient Chinesewonder contrefait sphere cut from ivory has been positioned next to a materially-similar, spherical sculpture constructed from the skulls of mice by British artist Alastair Mackie. A section of the exhibition has been devoted to peculiar objects with often unknown origins, including artistic artifacts created by nature – such as the horn of a mythical narwhal, and a just-as-mystical 4,000 year-old shard of a meteorite in the shape of an eagle's head. Among several unique taxidermy specimens, a Nile crocodile stands out – while miniature anatomical models from the 18th century reflect the crossroads of art and science. The last piece to have entered Olbricht's collection having been from Gerhard Richter's latest edition “Babette” (which sold out even before going public), Thomas Olbricht lives fully in the present, sometimes even surpassing it. But at the same time, he is aware that at some point, he will have to remove his finger from the pulse of contemporary art. Olbricht understands the principle of memento mori: remember that you will die! Which is why, in the me Collectors Room exhibition open through 25 August, “Wonderful – Humboldt, Krokodil & Polke”, artistic artifacts from the past and the present create a unifying dialog consisting of specifically existential themes. Alongside the permanent collection of rarities, one can see works by such contemporary grand masters as Sigmar Polke, Maurizio Cattelan, David LaChapelle, Cindy Sherman, Ai Weiwei and others. Revealing a singular experience of the borders of art nearing an unraveling, me Collectors Room has overstepped the usual norms of curation, and has broken down the classical museum's strictly-adhered-to guidelines of chronology and logic. The concept of this exhibition has specially planned for the free integration of various paragraphs from art history and many different artists into one, thematically unifying conglomerate. The universal Christian theme of Christ's Last Supper is portrayed in the exhibition through differing expressive languages: the classical interpretation has been combined with David LaChapelle's photograph, “The Last Supper” (from his famous “Jesus is my Homeboy” series of apostle hip-hop), and the disparately critiqued installation, “God”, by Canadian artist Terence Koh (the black corpse, displayed in a closed room and illuminated only with a strobe light, surrounded by a smell of a special Hermes perfume, is restricted to adult viewers only). 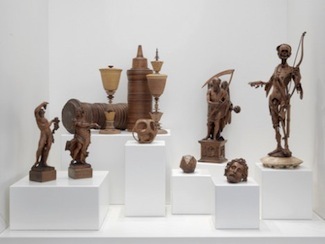 In September 2013, the mystique-laden exhibition, “Wonderful – Humboldt, Krokodil & Polke”, will be replaced by a show of works by German artist, Thomas Schütte. 2014 will start with an exhibition of the contemporary art collection of Patrizia Sandretto Re Rebaudengo from Italy, which will then be turned over to a show of photographs by American photographer Cindy Sherman, sourced from the Olbricht Collection. Arterritory.com met with Mr. Olbricht in Berlin, in the hospitable space that is me Collectors Room. In your opinion, what is it that makes people become passionate collectors? Maybe you have noticed some common character traits, or conditions? I think it largely has to do with one's childhood. If a child has been in contact with art, and with people involved in, or just interested in, the art world, then that child's future will, most likely, be graced with a special connection to art and maybe building a collection. There already were art collectors in my family, and it was this aspect that, in large part, led me towards the path to the art world. My uncle was a famous collector of German art in the 1960s – Karl Ströher. He turned to collecting at age 50 (I was 35 when I started), and at age 75, pop-art and the collection of Joseph Beuys' works became the center of his attention. I seem to recall that time as my first introduction to artists and art, and at 15 years of age, the idea of an art collection set seed in my mind. In answering this question, one must think about the different motivations of collectors. For some, it is a passion, for others – an investment. The issue of money has always been connected to the collecting of art. At the India art fair, there was a seminar on how to collect art if you are not a millionaire. Do you have any answers? For those who collect contemporary art, it is no secret that it is becoming ever more expensive. There are only a few collectors who are able to create, more or less, interesting and qualitative collections of contemporary art. Nevertheless, these collectors are growing in number due to the fact that over the last twenty years, the number of wealthy individuals has continually grown. When you have enough of everything – you begin to think, what more do I need... You need culture and you want to be surrounded by it! And for some people the easiest way to do this is to buy art. Usually when this happens, people decide to acquire the works of well-known artists. It is due to this demand that contemporary art is so popular and so expensive. Why, for instance, is the Chinese contemporary art scene so expensive? Because more and more Chinese are becoming wealthy. Over the next 20 years, this part of the world will be home to the most important market! The same goes for India, Indonesia, the Arab nations, Turkey... If you're looking for a place to invest in art, look to these countries! Wealthy people (I'm not speaking about millionaires) take their newly-acquired art work and hang it on the wall in their home; except for their families and friends, no one else gets to see it. The work of art has been purchased only for a sort of personal use – for your wall, for your enjoyment and for representation purposes. For those reasons, the collectors who are investors are looking for big names only, like Warhol, Picasso, Richter. The sad part of the story is, from the thousands of artists, only very few will get to the top of the art world's attention. So, in your opinion, art is meant only for those who are able to ensure that it can be made public, and put on rotation in the art world-at-large? Of course, anyone can begin a collection, but without money, that can only be done with the works of lesser-known artists. Art is meant for everyone, but not everyone can afford his/her own art collection and even fewer people can afford their own art space. That's why we put in on view here [at the me Collectors Room]. What do you think of the collectors for whom art is only an investment? By acquiring art works only as a form of investment, this kind of the collector will ultimately fail. If one buys only by sound, not sight, the right names may be acquired, but not the right works. Paying out a huge sum to buy a Richter, a Matisse, a Monet or a Picasso does not guarantee a success story. One can become a successful collector only through lengthy experience – by “training the eye”. Yes, luck is also necessary! Do you make use of advice from art consultants? Yes, of course. And one should do it. It is just like in any other profession, like medicine, for instance. If there is some complex problem without precedent, doctors should come together to try and solve it. But in assembling a collection, the final word, nevertheless, belongs to the one who is making the purchase. At the base of my decisions lies a complex of subjective and objective criteria. You need at least 20 years to develop an intuition that is capable of winnowing out the seed from the chaff. How important is a knowledge of art history when creating an art collection? One needs to know the underlying context of centuries of history, but especially the historical development of the object in interest; in my case – the development of contemporary art. At least enough to know that the names and works that you are about to include in your collection fall into the corresponding time period. In the same way, you need to have knowledge about the specific artist – what did he do ten years ago, how has his art changed. Only with this sort of knowledge can one achieve a feel for quality. Can you predict which new artists will gain wider acclaim? Many ask me that. I cannot, of course, know for sure who of the lesser-known artists will gain wider acclaim. However it is possible to follow along with the work of certain newer artists and observe how serious they are, what sort of materials and paints they use, and on how large of a scale they work; whether the whole is characteristic of the concrete period, and how well it will later fit into the art scene-at-large. Currently, I'm concentrating very much on new artists. Do you tend to form personal relationships with artists? I used to think that if I established a close relationship with an artist, and if I'd like him as a person, then I'd loose my objectivity as a collector. But now, and especially being in Berlin, things have changed. When we were putting together the Gerhard Richter exhibition a year ago, I came into close contact with the artist. He was truly happy about how seriously I was following his career. Not always can one obtain for one's collection everything that one would want and hope for. Does this sometimes cause tension? When I was still a child and collected postage stamps – definitely! I wanted everything, everything. I had almost every stamp issued by every country in Western Europe; but eventually, it became too expensive and I had to stop. But with art, it is impossible to collect everything, so one must specialize – in terms of themes, artists, countries, genres... My current interest in collecting is getting a feeling on what is contemporary, what is going on right now. Secondly and corresponding with that, I want to reveal how the artistic depiction of certain things has changed over a longer period of time, which is why I look, within one theme, for works from long ago, and then combine them with modern-day works. . For example, the theme of death or Eros. What does it feel like when you score a rare find for your collection? Now I will open my heart and soul to you! A collector is also a hunter – a hunter of rare and special things. When I hold in my hands something truly rare, and I comprehend that in the whole world, there are maybe very few of these, one of which now belongs to my collection – this is like a explosion of feelings! A chemical reaction of hormones, in which the main stress hormone, cortisol, turns on, then adrenaline... and you're swimming in this huge cloud of reactions. If the acquisition was really expensive, then that first night I might loose some sleep over self-recrimination. What was the very last thing that you acquired for your collection? I don't remember! OK, I do remember after all! It was a Gerhard Richter’s latest edition. He had brought it to Fondazione Sandretto Re Rebaudengo in Turin, where we opened a show of his works at the end of January. Does your education in medicine and work experience have any influence on the creation of your collection? I don't think so. At least not in my practice of collecting contemporary art. 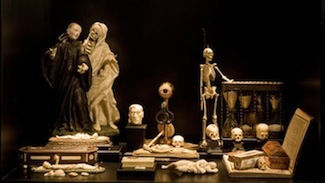 Various anatomical figures and skulls may appear in the Wunderkammer collection... well, maybe. But I think that has simply been influenced by my age, when one starts to think more about death. I'm attracted to the memento mori theme featured in baroque art – the pointing out of the fact that we don't live forever. Have you thought about what will happen to your collection once you are gone? I have five children, and they will have the opportunity to decide what to do with the collection. In any case, I definitely do not want something like a mausoleum, in which my collection would be embalmed for eternity. “The Thomas Olbricht Museum” – now that's a bad idea! I collect only for myself, for my life, and based on my crazy ideas, my decisions. The next generation has free will to do what they want with it. Can you imagine parting from your collection during your lifetime, selling it? That depends on many things. I have never thought about this option under normal circumstances. What are the main differences between a private art space and a museum? Me Collectors Room is a private exhibition space, or laboratory, or whatever you wish to call it – it has no strict educational mission. We are free to do it our own way. Here we can exhibit things that interest us, we can create all sorts of combinations, we can do what we want. When compared to museums, that is our upper hand. We can be quicker, a step ahead of the rest and more independent. Whereas museums have to follow strict guidelines. Do you collaborate with art institutions? The situation has changed a bit – I used to be the one looking for opportunities for cooperation, but now the museums are asking us for collaborations. And now our bargaining position is “50/50” – on equal terms; we used to be completely bound to the decisions of the museum directors. In your opinion, what should a contemporary art space be like in order to draw in viewers? It will become ever more difficult to draw the younger generation into “normal” museums. Scenery will have to be changed – which will be difficult for public museums to do, taking into account that the art market is becoming increasingly more expensive. For the modern-day public, coming into contact with art no longer means simply looking at it. No one wants to be told what it is that they are looking at. People want to decide for themselves what it is that they see, and if they become interested, then they'll ask questions. A contemporary person listens to music, scans the internet and communicates with others – all at the same time. Why can't we do the same thing while enjoying art? Why can't we start dancing in front of a piece of art? My plan is to combine several different forms of art. Do you think that you are becoming a part of the artistic process through the way in which you decide to exhibit works of art? I hope so! I am completely present in the development of the exhibition's concept. And although I am not an artist myself, occasionally it seems to me that something new and creative has come about from the manner in which I arrange the works for display. Do you pay attention to the way that people react to what it is that they've seen in the exhibition? What kind of expression is on their faces as they leave the gallery? Very much so. I like to wander around the exhibition and listen to what they are saying to one another. 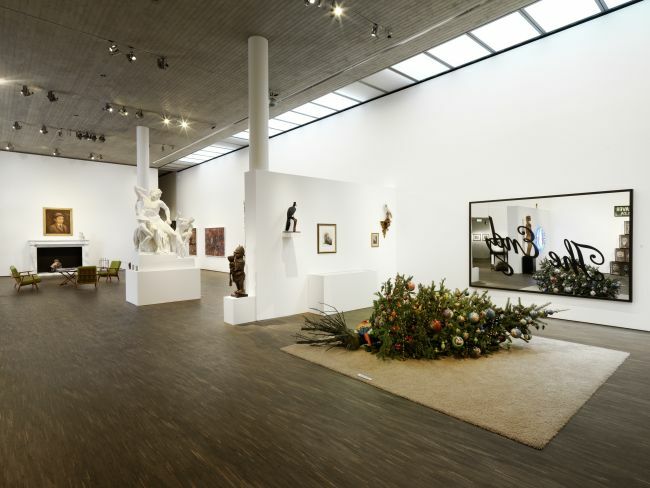 How would you comment on the contemporary art market in Germany, as well as its repercussions in global terms? The market for great German contemporary artists takes place in the world's largest auction houses. 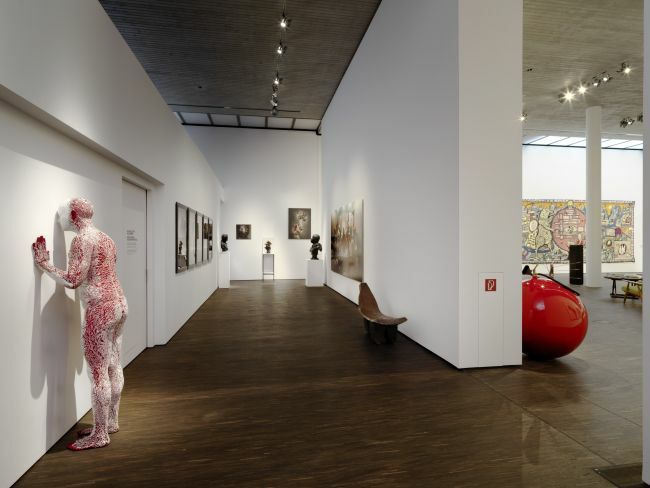 Berlin has about 600 art galleries, of which not all of them are able to move forward into the future; some are simply struggling to survive. Even if Germany's auction houses grew a bit in terms of earnings, they would still be of little significance in comparison to the global art market. 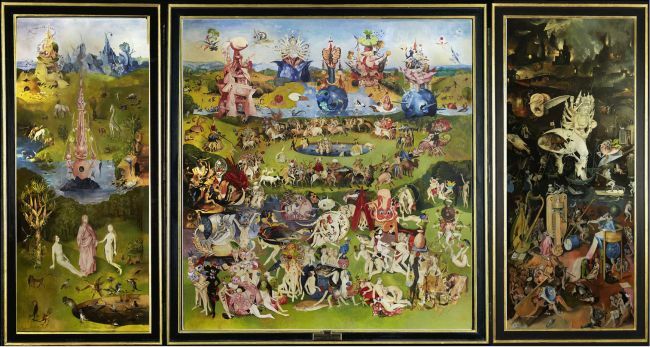 The world art market is made up of maybe two dozens of galleries and the twelve most successful auction houses – Sotheby's, Christie's, maybe Phillips, and the rest are found in China. Just three years ago, the top of the market was to be found in the US, Great Britain, France, Germany and the rest of Western Europe; only then came China. Now, China is in first place. The players in today's art world are Asia and some of the newly-developed countries, such as Turkey. In time, Africa will join them – but Africa consists of 56 countries, and the art scene there is certainly not uniform. These issues facing the future art market are very salient and interesting. How would you describe this changing pace? The pace of change is much faster now. The wheel is accelerating. Why so? Because practically all of the money coming into the art market from collectors is being earned by only a hundred out of thousands of artists. But these artists cannot create enough to fulfill the demand. And that is why prices are growing at an accelerated speed. Soon enough, a part of the collectors won't be able to afford these artists anymore; that's why new artists have to appear on the art scene. The art market wheel will turn faster and faster to accommodate the collectors who are ready to acquire, but only at lower prices. This doesn't mean that the newcomers will achieve fame, but they will be forced to produce and produce. I don't think so, because there is enough money out there. Maybe the situation will cool down a bit, but only by a few degrees. However, the wheel will keep on spinning.